International Animal Rescue Foundation © has been reporting for some time now on many climatological events and environmental weather disruptions to extremely rare climate phenomena that have been occurring since 2000 when the planets climate behaviour started to fluctuate hitting us with unpredictable weather events that has caused vast environmental and economical damage and will continue too unless we all start to take imminent action in reducing our carbon emissions internationally. The (WHO) World Health Organisation, most signatories of the Convention on International Trade in Endangered species of Wild Flora and Fauna better known as the Washington Convention to the IUCN and the United Nations Environmental Programme (UNEP) to governments alike are not taking the planets proceeding/forthcoming climate change seriously. With the summer now over in Africa and most parts of the Quarter and Arabian region we have now been warned that America and Europe will soon be under immense climatological attack from what has been described as a catastrophic cycle of weather patterns that will cause mass loss of life and colossal economic disruption effecting tens of thousands of business’s and hundreds of thousands old and newly constructed domesticated homes. The homes and businesses that will be mostly affected are those constructed on low graded land to flood plains that holds the rivers excess waters once flood defences or barriers have been breached. That was the good news though, the bad news is, all recent and past weather and climate change predictions and events measured by climatologists, meteorologists, environmentalists, marine biologists, botanists and environmental agencies have proved Europe now in for an extreme battering. Up to date environmental reports stipulating the high amounts of carbon emissions, global temperature increases of just over 3.4oc by 2050-2100 international global census reports of human population that is rapidly increasing now to almost 8.9 billion with one child born every minute which “will” reach 9 billion by 2014, and the overuse of atmospheric pollutants, continuous deforestation and illegal logging, and still gargantuan usage of fossil fuels has now concluded that Europe is and will be under immense environmental atmospheric attack causing mass carnage on a colossal and worrying scale never seen. George W. Bush, ex-president of the United Stated of America should be held officially accountable for this now impending carnage that could have been lessened had American governmental scientists informed the public of the real impending dangers of environmental change however were instead ordered to concoct lies and asking many non-profit organisations to push their compulsive and arrogant damaging non-factual misinformation further from which they have since rebutted their claims and stated they were indeed in the wrong when working in the Bush Administration. The now irreversible damage has already been done and with all European and International scientists and experts providing the most up to date and accurate data we are now aware that Europe is going to face the harsh identical extremities as the United states is. International Animal Rescue Foundation © is now 100% certain this is why Operation Black Swan undertaken by over 27 continents and kept strictly confidential until a whistle blower of the United states Government blew the cover when viewing millions of dead land and marine animals washed up and found dead worldwide with human health affected too. Coincidentally he and a further Russian military advisory were found dead months later of which both analysts had apparently committed suicide. No further investigations were uncovered on this and all reports that we did locate on Operation Black Swan have since vanished of the World Wide Web, although there is come data it is little and mostly taken of the original domains. Come the end of the century super storm Sandy’s could be battering the European nations and beaches. 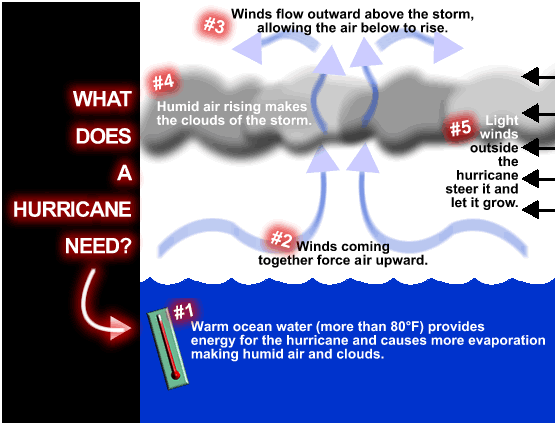 Hurricanes usually form in the western tropical Atlantic and normally head north-west to the United States. Occasionally they will make it to Europe by piggybacking on the jet stream. Simulations of these impending hurricanes were undertaken by the Netherlands Meteorological Institute that conducted further examinations based on current predictions. A detailed climate model for 2094 to 2098 assuming modest future greenhouse gas emissions was conducted that showed startling trends and conclusive results. Meteorologists and scientist’s found that future hurricanes formed further east within the tropical Atlantic, as that area had warmed sufficiently to provide enough heat and moisture to power them massively. As a result, many didn’t hit the United States of America and instead hit the European Union with devastating consequences mostly hitting and damaging Western Europe. The storms weakened once they left the tropics but significantly powered up again when they entered cold and windy areas that then culminated into “hybrid storms” like Sandy, halfway between winter storms and hurricanes. Within the Bay of Biscay the climate model quite accurately predicted the average number of yearly hurricanes will increase in Europe from one to six increasing massive environmental carnage, increased flooding from both river and sea, will have a detrimental yet damaging impact and effect on the European economy, thus leading to loss of life both animal and human and effecting farming communities to displacing species and human population. Diseases and infections will increase, mental illness and suicide caused by such major environmental damages will rise and yet we as humans still aren’t taking enough notice to eve reducing our carbon emission and greenhouses damage. Abnormal weather patterns that are already amongst us within Europe have ranged from heavy spring snows killing thousands of agricultural animals with a total loss of over 335 human lives. After a brief tease of spring-like weather Europe has been hit with cold temperatures and heavy snow. Keeping in mind that “cold” and “heavy snow” are relative terms — these storms were one of the worst of the season for 2013, not to mention among the worst in years. Airports across Europe were either closed, or had traffic reduced dramatically. And even the trains were stopped. In Germany, there was traffic accidents on the autobahn involving over 100 vehicles, though fortunately nobody died during that wreck. In Paris, we had roughly 4 inches of snow — which may not sound like much, but for Paris it’s unusual, and it’s been like this for several years now (snowing when it shouldn’t). Earlier this season we had about twice as much snow as last night, which was also a surprise. As I mentioned before, Paris is not equipped for snow — we just never get that much (or at least we didn’t) — so any snow that sticks will cause major problems mostly affecting transportation thus cutting off the entire country and leaving it at vulnerable security threat. The melting Arctic ice is also to blame here which is causing the North Atlantic to warm, which is bringing a lot more precipitation to the region. That means the miserable weather of northwest Europe has gone from bad to worse with even more rain and snow because of the warming seas. As the Arctic ice melts, the situation is likely to become worse. In addition to the warming ocean, the jet stream is unusually far south at the moment, which means that the cold northern air is dipping to the south. These are one of three reasons why the United States Government paid scientists to quote that climate change was all myth and no evidence because the government wanted you the average $200 a week purchaser of basics fuel’s and groceries kept motivated and moving so they can continue raging political wars, to ensuring the nation is not left at vulnerable level from a potential terror threat or more. Regrettably though American and international news agencies the very people that are to be trusted to this very day are still compulsively lying to the public of which FOX news was caught with publishing very “dodgy unsound information” on climatological change. Rupert Murdoch’s companies have been found to be grossly misleading the US public over climate change, with Fox News ‘coverage classed as giving dodgy info 93% of the time. In the report, compiled by the Union of Concerned Scientists, Murdoch’s Wall Street Journal comes a close second in the inaccuracy stakes, with a massive 81% misleading coverage in their opinion pages. The Wall Street Journal Opinion Page’s coverage of climate change was categorically proven to be 81% misleading with only 19% accurate. However Fox’s news channel on climate change was proven to be a massive 93% misleading with and only 7% accurate. The WSJ, whose commentary include such beauties as “No Need to Panic About Global Warming“, claim that the alarmism created by global warming is something of a conspiracy, offering “an excuse for governments to raise taxes“. Although this is just mumbo jumbo it still proves that not only the government but also the media provide little accuracy when reporting real life affairs that the international community need to be informed off. Lying and asking others to lie is tantamount to global extinction caused my human negligence. We truly believe that the spin doctors and non-profit organisations as listed in Greenpeace’s leaked document that the government conveniently paid over 100 (NPO’s) to lie to hundreds of thousands of supporters is still to this date on-going. Non-profit organisations are the government’s most desired weapon within the area as organisations contain followers both online and offline with some one billion just on Facebook that view many “governmental non-profits”. So by quietly paying them off to place every now and then reports that climate change is all myth” then the United States Government of the Bush and Obama administration must be held fully accountable for loss of life, economic damage and mass environmental carnage that could have been reduced in the past and now present. This private musing between two climate scientist colleagues first surfaced along with a whole raft of embarrassing material in 2011, when the anonymous Climate gate leaker who calls himself “Mr FOIA” leaked his second set of emails from Britain’s disgraced Climate Research Unit (CRU) at the University of East Anglia, Norfolk. Now, Mr FOIA has emerged for a third time, sharing with the world not only his entire batch of 220,000 encrypted emails and documents but also, for the first time, his thoughts. We are fully aware of Mr FOIA whom is a godsend to science and critics alike. Mr FOIA had previously released two batches of 5,000 files each in 2009 and 2011. This enormous third batch went to a network of friends for decoding, sorting and publication within East Anglia and Cambridge, of the United Kingdom. The first and second email batches contained conversations among “scientists” who appear to have dishonoured a once respectable discipline, documenting that their claims of a “man-made global warming crisis” look exactly like deliberate contrivances for academic career gain, research funding and positions of political power in “the cause.” Some big-name players are playing games with people’s lives and livelihoods. The biggest player The United Nations Intergovernmental Panel on Climate Change (IPCC) is the scientific panel whose reports contain the work of Climate gate figures – and are highly politicized and publicized to increase fear of Anthropogenic Global Warming (AGW): “imminent catastrophic man-made climate change.” Many horrendously expensive and needless local, state, federal and international policies have flowed from IPCC’s flawed reports. The most powerful symbol Professor Michael Mann’s “Hockey Stick Graph” was featured prominently in the 2001 IPCC Third Assessment Report. It alleged that global temperatures were flat for a thousand years before 1900, but then radically increased because of AGW. The chart looks like a hockey stick, a long straight line that bends sharply upward at the end. With recent IPCC admissions that temperatures have not increased for at least the past 16 years, the curve has now plunged downward to become as flat as the rest of the hockey stick, which is where public trust in climate science is headed. “The Rules” teaches sophisticated behaviour change tactics, including: “Climate change must be ‘front of mind’ before persuasion works” … “Link climate change mitigation to positive desires/aspirations” … “Beware the impacts of cognitive dissonance” and “Use emotions and visuals” (e.g., scare people with the Hockey Stick Graph). It treats the public like gullible idiots who can be frightened and manipulated by seemingly trustworthy scientists to believe in AGW. For a long time, it worked. The Team: Phil Jones, head of the CRU; Peter Thorne of the UK Met Office (the national weather service, originally the Meteorological Office) was joined by Kevin Trenberth, climate analysis section head of the U.S. National Centre for Atmospheric Research (NCAR); Tom Wigley, also of NCAR; and the litigious Penn State University Hockey Stick originator, Michael Mann. Suppressed critical knowledge: Phil Jones wrote, “I’ve been told that IPCC is above national FOI Acts. One way to cover yourself and all those working on the IPCC 5th Assessment Report would be to delete all e-mails at the end of the process. Any work we have done in the past is done on the back of the research grants we get – and has to be well hidden. I’ve discussed this with the main funder [the U.S. Department of Energy] in the past and they are happy about not releasing the original station data.” The U.S. government was colluding with the hiders, who received tens of millions of dollars over the years. The distortion, spin, suppression and smear campaign went on for years. In fact, the revelations sparked a furious “hide the lies” denial campaign that ironically calls sceptics “deniers.” What the sceptics actually deny is that there has been much honest science involved in the IPCC process; that there is any evidence to support claims that we face an imminent climate crisis; and that humans are primarily responsible for weather and climate variations that have always been controlled by hundreds of complex, inter-related natural forces and processes. “The first glimpses I got behind the scenes did little to garner my trust in the state of climate science – on the contrary,” Mr FOIA continued. “I found myself in front of a choice that just might have a global impact.” Reveal what he had discovered, or keep it to himself and let the lies continue? Americans won’t take captivity. It’s time to demote our climate masters to our humble servants. We won’t kill them. But we should sentence them to prison – or Siberia, where they’ll wish the climate was warming. Should we continue to not open our eyes and view what is on-going around us for ourselves such as peculiar weather patterns, plants blooming at the wrong time of seasons, reliable metrological reports, heat waves, and flooding then we will all be a major victim to the lies that have been consequently spread and still are being spread to this day. Food production will have to rise 60% by 2050 just to keep pace with expected global population increase and changing demand. Climate change comes on top of that. The annual production gains we have come to expect … will be taken away by climate change. We are not so worried about the total amount of food produced so much as the vulnerability of the one billion people who are without food already and who will be hit hardest by climate change. They have no capacity to adapt. According to the Intergovernmental Panel on Climate Change (IPCC), to keep global warming below 2 °C, emissions of carbon dioxide (CO2) and other greenhouse gases (GHGs) must be halved by 2050 (compared with 1990 levels). Developed countries will need to reduce more – between 80 % and 95 % by 2050; advanced developing countries with large emissions (e.g. China, India and Brazil) will have to limit their emission growth. Agreed in 1997, the UNFCCC’s Kyoto Protocol is a first step towards achieving more substantial global emission reductions. It sets binding emission targets for developed countries that have ratified it, such as the EU Member States, and limits the emission increases of the remaining countries for the first commitment period from 2008 to 2012. The 15 pre-2004 EU Member States (the EU-15) have a joint emission reduction target of 8 % below 1990 levels. Through the internal EU “burden-sharing agreement”, some EU Member States are permitted increases in emissions, while others must decrease them. Most Member States that joined the EU after 1 May 2004 have targets of -6 % to -8 % from their base years (mostly 1990). 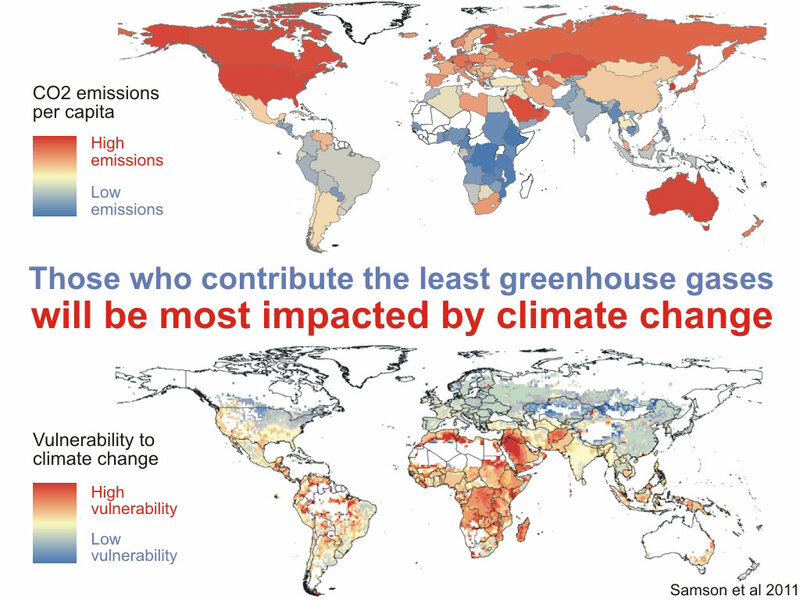 EU emissions represent about 10 % of total global emissions. The United States, which has a large share of total global GHG emissions, has not ratified the protocol. China and several other countries with large GHG emissions do not have binding emission targets under the protocol. Countries are expected to meet their target mainly through domestic policies and measures. They may meet part of their emission reduction targets by investing in emission-reducing projects in developing countries (the Clean Development Mechanism (CDM)) or in developed ones (Joint Implementation (JI)). The CDM is also meant to support sustainable development, e.g. by financing renewable energy projects. The Cancún Agreements, adopted at the UN Climate Conference in Mexico (December 2010), include a comprehensive finance, technology and capacity-building support package to help developing nations adapt to climate change and adopt sustainable paths to low-emission economies. The agreements also include a time schedule for reviewing the objective of keeping the average global temperature rise below 2 °C. The agreements confirm that developed countries will mobilise USD 100 billion in climate funding for developing countries annually by 2020, and establish a Green Climate Fund through which much of the funding will be channelled. The ‘Durban Platform for Enhanced Action’, adopted at the UN conference in South Africa (Dec 2011) agreed a roadmap towards a new legal framework by 2015, applicable to all Parties to the UN climate convention. It also foresees a second commitment period of the Kyoto Protocol, starting in 2013. Agreement was also reached on the design and governance arrangements for the new Green Climate Fund. 5) Measures to reduce emissions from landfills. This is sounds all good and positive news however is it going to work? The Abatement measures should have been implemented a long time ago when the European Union and America knew of these problems. These measures give authorities the power if companies pollute or break environmental laws to close an entire company down to protect our vulnerable environment to flora and fauna. This type of order is more or less an anti-social behaviour order. Should the abatement team ascertain enough data and believe that a crime is being committed or rules are being flouted then action will be taken immediately to preserve our natural environment. Insurance companies were faced with a flood of claims yesterday following Tuesday’s freak hail storm that hit the north and east of Malta. Certain crops can be replanted but some will have lost everything Middlesea Insurance said they received a flurry of claims for damage at property located in Baħar iċ-Ċagħaq, St Andrew’s, Għargħur, Mosta, Naxxar and San Pawl Tat-Tarġa. These came in the wake of reports of tennis ball-sized hailstones lashing certain localities around midday on Tuesday. Claims under property insurance policies were submitted for damage to solar water heaters, photovoltaic panels, glass and water pipes, said Middlesea’s chief claims officer, Patrick Muscat. A number of private motor vehicle claims were also filed under comprehensive policies. Asked if hail was considered an ‘act of God’ by insurance companies, Mr Muscat said the term was an old misnomer that should be avoided. “It is now standard practice to have storm cover under most, if not all, property insurance policies,” he explained. Mile-End car repairs and towing services said it was busier than usual when the storm hit. “We were called to accidents in Rabat, Mosta and Naxxar. The water on the road was a big problem,” a spokesman said. However, they did not have an unusually high number of repairs yesterday – “just a few for spark plugs caused by water damage”. The hail mostly caused slight cosmetic damage to vehicles, the spokesman added.Farmers also suffered with some having their crops destroyed by the hail, according to Joe Galea, president of the Rural Manikata Cooperative. Although the farms around Manikata were unaffected, Mr Galea said farmers in the Mosta, Rabat and Ta’ Qali areas were not so fortunate, with potatoes and onions badly hit. “The storm did not hit everywhere but some farmers were very unlucky. Certain crops can be replanted but some will have lost everything,” he said. “It’s too early to say if they will ask for compensation from the Government,” Mr Galea said. There were widespread reports of the hailstones denting solar panels even though a spokesman for Solar Solutions in Naxxar said they had received no calls about damage to products they had sold as of 11am yesterday. “Our solar heaters have thick security glass and are designed to withstand some punishment. Good quality solar panels would not normally be damaged by hailstones,” he said. In Għargħur, which bore the brunt of the storm, locals enjoying morning refreshments in San Bartilmew band club said many cars belonging to residents were dented and windows were broken. One woman said her adult son was distraught after his 35 racing pigeons, costing some €2,000, were caught in the hailstorm. “Lots of them did not come home and the ones that did were badly injured. One lost an eye,” she said. The parish priest also suffered extensive damage to his home, according to locals, but he was not available to comment when The Times visited his house. A woman died and numerous commuters were left stranded in Athens after the Greek capital was hit by its worst storm in 50 years on Friday. At least 900 calls were made to the fire department requesting for aid to pump water out of homes, with many basements being inundated. Another 90 rang asking for assistance after being ensnared in their cars. Many cars were seen to be swept and overturned by the deluge. A 27-year-old woman died from a suspected heart attack after being extracted from her marooned vehicle by other motorists, in the northern suburb of Halandri. The Greek city suffered power outages overnight, after a river bank bursting. Early commuters were brought to a standstill as a result of the flooding. A house collapsed in the city centre, but no injuries were reported. The flooding culminated in havoc for public transport as the tram system was stalled for an hour while rail schedules were temporarily postponed after a tree fell on the tracks. Many parts of Europe are struggling to return to normal after a freak snowstorm caused travel chaos. On Tuesday the Eurostar trains had to be suspended as severe weather in Northern France and Belgium forced operators to close sections of the railway. Other high speed train services were also halted. Even Jersey, normally one of the warmest parts of the British Isles, was not spared from the severe conditions. Residents had to cope with 100 kph winds as snow covered the island. Meanwhile more snow fell on central Germany. North of Frankfurt the Autobahn had to be closed after a 100-car pileup injured dozens of people. Nearby, Europe’s third largest airport also had to close forcing more than 355 flights to be cancelled. Italy – A strong tornado hit Italy’s Venice and its lagoon causing big damage to local environment. Hundreds of trees were destroyed by the storm which hit the renowned northern city and some small islands of its lagoon including Sant’Elena, Sant’Erasmo and Certosa. 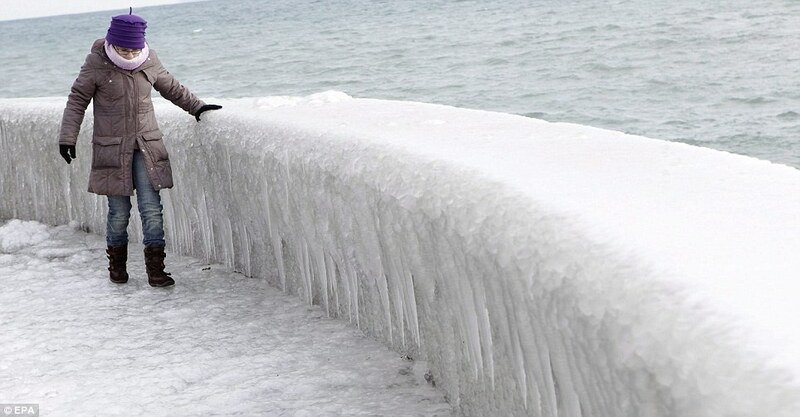 Britain’s impending cold snap could cause hundreds of millions of pounds of damage as a result of frozen or burst pipes, householders were warned. British Gas is predicting that the plummeting temperatures expected next week could trigger more than 20,000 emergency calls a day. Forecasters have warned that a cold blast from the Arctic is on its way, beginning with snow showers in Scotland on Sunday and gradually spreading south. It is estimated that one in five homes could be at risk from damage caused by frozen and burst water pipes, British Gas said. Figures from the Association of British Insurers show that burst pipes across the UK cost insurance companies more than £415 million in 2002 – three times as much as the total cost of river flood damage to UK homes that year. And in 2003, British Gas reported more than 15,000 call-outs on the coldest day on January 8, when average temperatures fell to just below minus 3C (27F). As a precaution, the company has cancelled all routine visits in the early part of next week. Dave Kendle, director of British Gas home service operations, said: “The message is simple – never underestimate the misery caused by burst pipes and no heating. “Colder weather puts added pressure on your heating systems as they work harder to keep homes warm. Not only this, but the damage caused by torrents of water from burst pipes could run into thousands of pounds.” The company advises householders to check that their main stopcock works and that all pipe work, cisterns and tanks are well insulated. Only once since accurate records began in 1851 has an actual hurricane with full tropical characteristics hit Europe. This happened on September 16, 1961, when Category 1 Hurricane Debbie hit north western Ireland. Wind gusts reached 106 mph at Bally Kelly and 104 mph at Tiree and Snaefill, and coastal radio stations reported the airwaves were jammed with calls for help from small ships and fishing craft. Eleven people were killed and 50 injured in the storm. 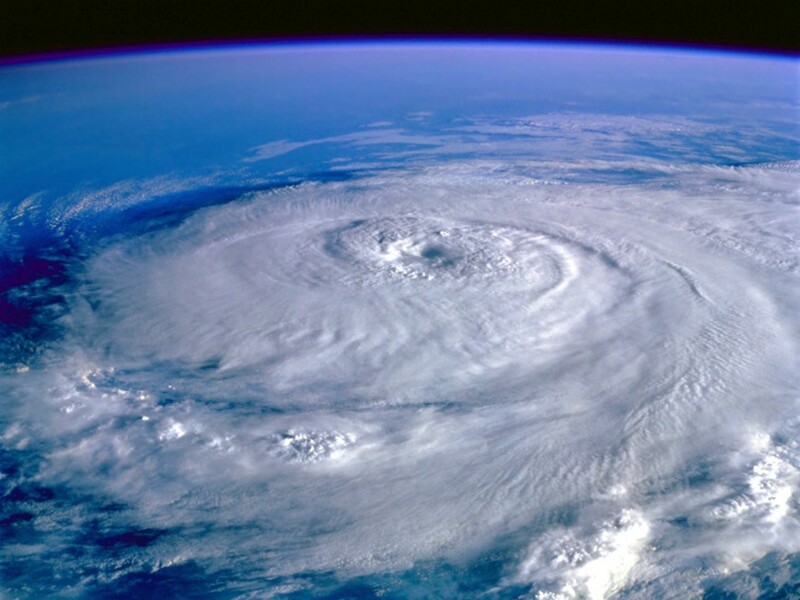 The only other tropical cyclone recorded to have hit Europe since 1851 was Hurricane Vince of 2005, which hit southern Spain as a tropical depression on October 11, 2005. Historical documents also suggest a hurricane hit Spain on October 29, 1842. Hurricanes that transition to powerful extra tropical storms hit the British Isles several times per decade, on average. In 2011, Hurricane Katia brushed by Newfoundland, made the transition from a tropical system to a powerful extra tropical storm, and maintained strong winds of 50 – 65 mph as it crossed the Atlantic. Ex-Katia hit northern Scotland on September 12, 2011. Glen Ogle, Scotland, at an elevation of 1500 feet (546 meters), received sustained winds of 60 mph, gusting to 86 mph. Cairngorm, in the Scottish Highlands at an elevation of 4085 feet, reported sustained winds of 67 mph. With the trees in full leaf, tree damage was much higher than a winter or springtime storm of similar ferocity would have caused. One person was killed by a falling tree, and heavy tree damage and numerous power failures were reported throughout Britain. Other gusts experienced in Britain included 76 mph at Edinburgh Blackford Hill, 75 mph at Capel Curig in Wales, 72 mph at Glasgow Bishopton, and 71 mph at Loftus, North Yorkshire. As reported by UK Met Office forecaster John Hammond in a post on the BBC 23 degrees blog, Britain has been affected at least eight times in the past twenty years by extra tropical storms that were once tropical storms or hurricanes. Before Katia of 2011, the most recent such storm was Hurricane Bill of 2009, which hit Ireland as an extra tropical storm on August 25 with sustained winds of 45 mph. Bill was a Category 4 hurricane northeast of the Lesser Antilles five days prior. In 2006, a record three extra tropical storms that had once been tropical cyclones hit Britain. Extra tropical Storm Alberto, which had been a strong tropical storm that hit the Florida Panhandle, hit northern Ireland and Scotland as an extra tropical storm with 35 mph winds. Extra tropical Storm Gordon hit Ireland on September 21, 2006, with sustained winds of 65 mph. Gordon brought record warm temperatures as tropical air pushed north across the UK, and also strong winds that brought down power lines in Northern Ireland. Wind gusts to 60 mph (97 km/h) occurred in the Isles of Scilly off the southwest coast, and 81 mph (130 km/h) on the mainland. Other post-tropical cyclones that have the U.K. in the past twenty years include Hurricanes Isaac and Leslie of 2000, Hurricane Karl of 1998, and Hurricane Lili of 1996. The most severe of these storms was Extra tropical Storm Lili, which hit Ireland on October 28, 1996, with sustained winds of 65 mph. Lili caused $420 million in damage, in the U.K; Lili produced a 92 mph (148 km/h) gust at Swansea, South Wales, while bringing a 4′ (1.2 meter) storm surge that inundated the River Thames. In Somerset, 500 holiday cottages were severely damaged. A U.S. oil drilling platform, under tow in the North Sea, broke loose during the storm and nearly ran aground at Peterhead. On the Isle of Wight, a sailing boat was beached at Chale Bay; luckily all five occupants were rescued. It was the most damaging storm to have struck the United Kingdom since the Great Storm of 1987, which killed 22 and caused $660 million in damage. However, Lili also broke a four-month drought over southwest England. 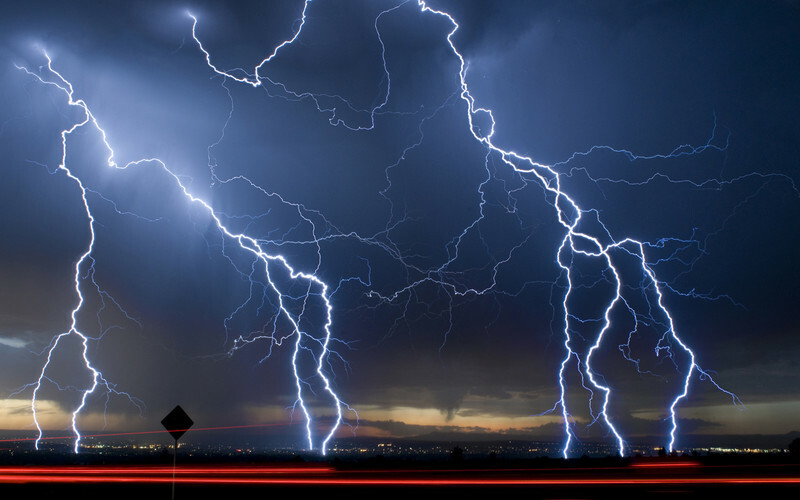 All but one of these storms hit during the peak part of hurricane season, mid-August – late October. The only exception was Ex-Tropical Storm Alberto of 2006, which hit Britain in June. The Mediterranean Sea between Europe and Africa has experienced several damaging hybrid subtropical storms in recent decades, but has never experienced a fully tropical hurricane in recorded history. However, global warming may cause the Mediterranean to start spawning hurricanes by 2100, according to a 2007 study by a research team led by Miguel Angel Gaertner of the University of Castilla-La Mancha in Toledo, Spain. They ran nine different climate models with resolutions of about 50 km and found that some (but not all) of the models simulated hurricanes in the Mediterranean in September by the end of the century, when ocean temperature could increase by 3°C, reaching 30°C. The Mediterranean has a lot of large islands and peninsulas poking into it, increasing the chances that a tropical storm would weaken when it encountered land. Can one rely on these three climatological unproven theories though? December 14th 2010 – A luxury cruise ship has been left in disarray – and dozens of its passengers hurt – after it encountered unexpectedly heavy seas in the southern Mediterranean. The Brilliance of the Seas is now limping to Malta after being assailed by giant waves – which caused it to rock dangerously from side to side – while sailing to the Egyptian port of Alexandria. February 2012 – NASA Space Agency quoted a nasty looking storm was spotted by a satellite today (Feb. 23) as it spun over the Mediterranean Sea. The cyclonic, counter-clockwise spin of a low pressure system was viewed from the NOAA-19 AVHRR satellite sensor taken on Feb. 23, 2012. This system has brought up to 4 inches (10.2 centimetres) of rain over the last 24 hours to coastal areas in Europe and Africa. NOAA-19 is the last of the POES line of polar-orbiting satellites run by NOAA. Its successor, the Suomi-NPP satellite, was launched late last year and is currently undergoing its check-out phase as the sensors are gradually turned on. January 8th 2013 – Stormy weather, including snow, high winds and heavy rainfall, lashed the eastern Mediterranean coast, downing power lines and trees and causing several injuries in a number of countries. Heavy snowfall blanketed Turkey’s commercial hub Istanbul, a city of 15 million, paralysing daily life, disrupting air traffic and land transport. Officials said the snow is expected to continue until late tomorrow, according to the weather forecast. Syrian refugees in a Jordanian camp attacked aid workers with sticks and stones on Tuesday, frustrated after cold, howling winds swept away their tents and torrential rains flooded muddy streets overnight. Police said seven aid workers were injured. March 2010 – Earlier in the week transport in Barcelona ground to a halt as snow covered the Catalan capital and the snow storms have continued, passing over the Balearic Islands and the Costas, both popular with holiday makers hoping for some spring sunshine. Roads were closed as up to four inches of snow fell across Majorca and many residents and holidaymakers stayed indoors. There are still to this very day much confusion and irresponsible lies that are being regurgitated to the public so that panic is not started, not creating panic is within our eyes a professional manner to adopt. However to completely lie, and to pay scientists and non-profit organisations that we are supposed to trust “not naming any names” but if I quote [certain climate and environmental groups] is dangerous and dicing with people’s lives as well as affecting our next generations future and economy. Scientific data has long been out within the open that proved this climate prediction would eventually occur however the government wish to censor this and/or take legal action against these proof writers to keep their counties economy stable, to push people into purchasing more products, and, and to rage transnational wars as without the tax payers money then wars cannot be fought. The governments then cannot obtain oil and petroleum via occupying foreign continents that they believe to be of a high security risk to them. The lies are still continuing and being raged even as I document more on sporadic climatological change. Evidence is out there that proved and “proves” climate change is more than real. We only have to look at the mass shifting ice sheets within Antarctica to viewing the Polar Bear now facing extinction to now understand that climate change is now a “domestic and international terror threat to life” that the American government could have taken seriously and acted upon rapidly reducing loss of life, economic instability, agricultural damage, and species extinction. That time regrettably has since passed and now we are the ones that are too now pick the pieces up caused by deliberate governmental negligence. Had the PUBLIC been informed correctly and NOT lied to then we could of all back within the early 1980’s when air and marine temperatures noticeably began warming could of taken action to reduce the now forthcoming climate carnage. Climate carnage is going to hit Europe hard thus then moving us all into economic meltdown the current cost of climate change destruction has risen in the United states from $100 billion (1989) to now (2013) $390 billion and climbing fast. 730 million European citizens and “non-European” the most vulnerable are now in danger, can they afford these types of “hurricane Sandy” hurricanes? Representative Chris Stewart (R-UT) is the chair of the subcommittee on the environment, the congressional group in charge of the EPA, climate change research, and “all activities related to climate.” It is therefore extremely troubling that Stewart denies the basic findings of climate science. (What’s new though the EPA support’s sustainable hunting) Stewart has said that he is “not convinced” that climate change is a threat, despite the fact that the EPA, NOAA, and all of the climate science and scientists that he now oversees, disagree with him. In fact 98% of actual climate scientists disagree with his views on climate science. The group of activists included high school student Sara Ma. “Many people think climate change is a future problem for my generation to solve later, but it’s not. The data shows that it is here, it’s happening and it has a cost,” said Ma, a 17-year-old senior at West High School. Utahns are particularly upset by Stewart’s ignorance on climate issues due to the record wildfire season they endured last year. Wildfires did over $50 million dollars in damage to Utah in 2012. 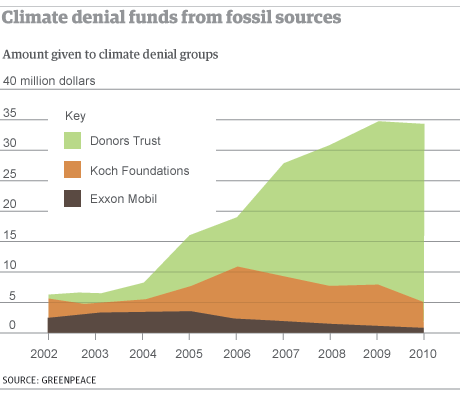 Stewart’s climate denial is made more suspicious by his close ties to carbon polluting industries. His brother and campaign manager, Tim Stewart, is a Washington, DC lobbyist for fossil fuel corporations. In addition, he has received more campaign donations from oil and gas companies than any other single source. Climatology studies of cyclones with a focus on their relation to wind storm tracks in the Mediterranean region (MR) are presented. Trends in the frequency of cyclones and wind storms, as well as variations associated with the North Atlantic Oscillation (NAO), the East Atlantic/West Russian (EAWR) and the Scandinavian variability patterns (SCAND) are discussed. The study is based on the ERA40 reanalysis dataset. Wind storm tracks are identified by tracking clusters of adjacent grid boxes characterised by extremely high local wind speeds. The wind track is assigned to a cyclone track independently identified with an objective scheme. Areas with high wind activity – quantified by extreme wind tracks – are typically located south of the Golf of Genoa, south of Cyprus, southeast of Sicily and west of the Iberian Peninsula. About 69% of the wind storms are caused by cyclones located in the Mediterranean region, while the remaining 31% can be attributed to North Atlantic or Northern European cyclones. The North Atlantic Oscillation, the East Atlantic/West Russian pattern and the Scandinavian pattern all influence the amount and spatial distribution of wind inducing cyclones and wind events in the MR. The strongest signals exist for the NAO and the EAWR pattern, which are both associated with an increase in the number of organised strong wind events in the eastern MR during their positive phase. On the other hand, the storm numbers decrease over the western MR for the positive phase of the NAO and over the central MR during the positive phase of the EAWR pattern. The positive phase of the Scandinavian pattern is associated with a decrease in the number of winter wind storms over most of the MR.
A third of the trends in the number of wind storms and wind producing cyclones during the winter season of the ERA40 period may be attributed to the variability of the North Atlantic Oscillation. International Animal Rescue Foundation © will continue to document on the recent spurge of climate patterns and the “on-going” negligent speeches of government officers in the hope that we can now start to educate the public into now taking evasive and firm action into now protecting our environment, themselves and our future generations of eco-warriors. Please note should you spam this site your comments will not show however will automatically be reported via our automatic denial and search software to the IC3. Commenting in the main box too will also see the comments removed automatically if you place spam within. Should you wish to comment you are to remove your spam and other advertising. We do not and will not tolerate under any circumstances spamming and/or abusive spammers that show pornograpic material/homophobic sites/racism/terrorism/illegal wildlife trade or other. Your Internet Protocol will be reported via our Active Denial International Protocol Search [ADIPS] and report software even if it is hidden via cloud or using an International Protocol or Web Proxy Server of which we can trace. International Animal Rescue Foundation and Speak Up For the Voiceless, all email’s containing the name, pictures that have our direct code within, domains and urls / are registered and owned by International Animal Rescue Foundation. We admire that you share our work however should it be made evident to us that our personal information, domains, urls, names of staff, names of pages, and/or site pages, registered social media company pages, addresses, information, landline/cell information removed without consent from our urls other than the news as listed above will be seen as an immediate copyright infringement and violation of rights of which we will take immediate action via a removal order, legal action or DCMA. We take pride in the work that we undertake, of which we will acknowledge constructive criticism, however violating our work, screenshotting and abusing, stealing, or other only places the environment and the animals we and others are working to preserve in danger of more abuse. Believing that by not directly using our name is not a “violation” is non-factual as simply abusing or insinuating is a direct violation of rights. The following removal orders are already in place today 19th April 2013 for the three following offenders. All rights reserved and owned to International Animal Rescue Foundation Europe and International. This entry was posted on April 19, 2013 by speakupforthevoiceless. It was filed under You must be the change you want to see in the world and was tagged with animal rescue foundation, climate, climate change predictions, Environment, nature, science.